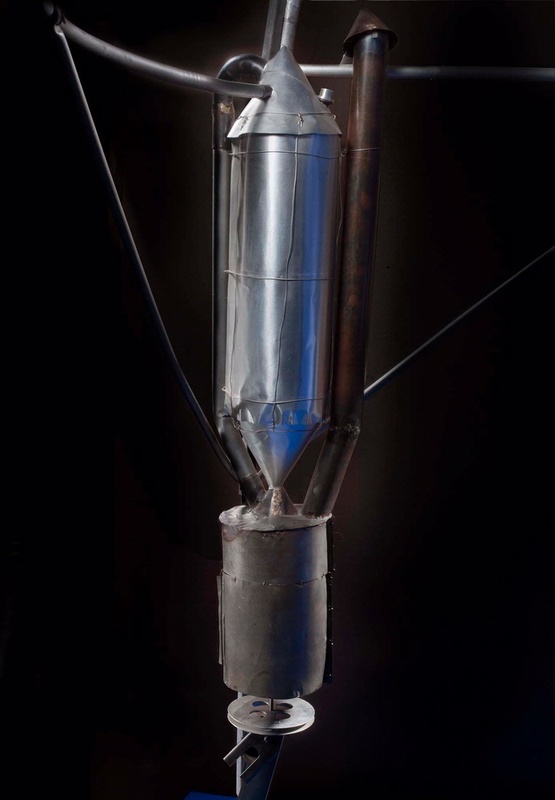 This photograph shows a liquid oxygen tank, and below it the “alcohol stove,” on one of legs of the Goddard “Hoopskirt” rocket. Liquid oxygen was heated by the burning alcohol. 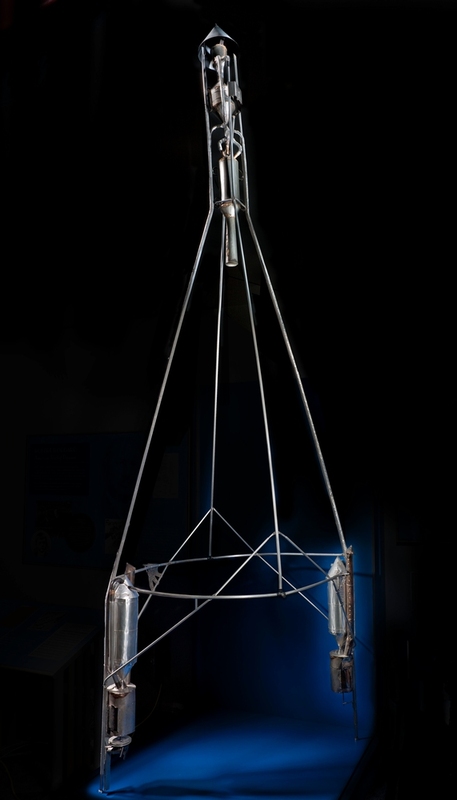 The resulting gaseous oxygen pushed the still-liquid oxygen into the lines to the head of the combustion chamber at the top of the rocket. 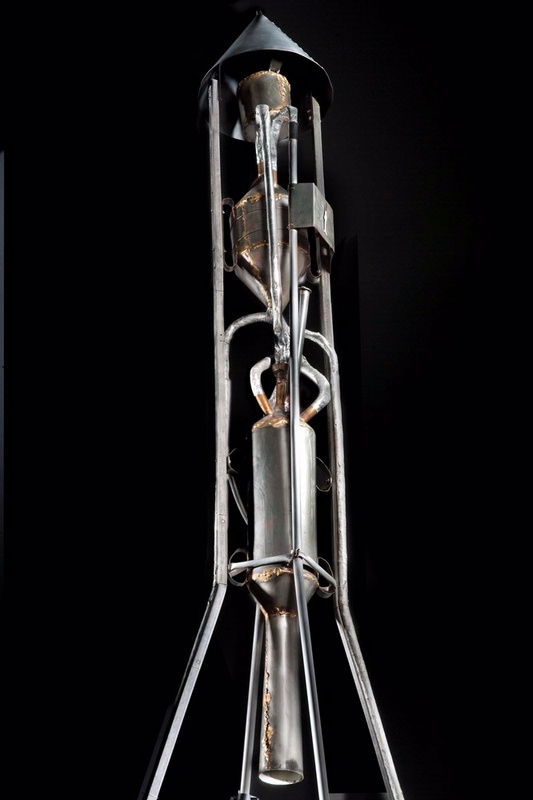 There the oxygen burned in the combustion chamber with the gasoline. 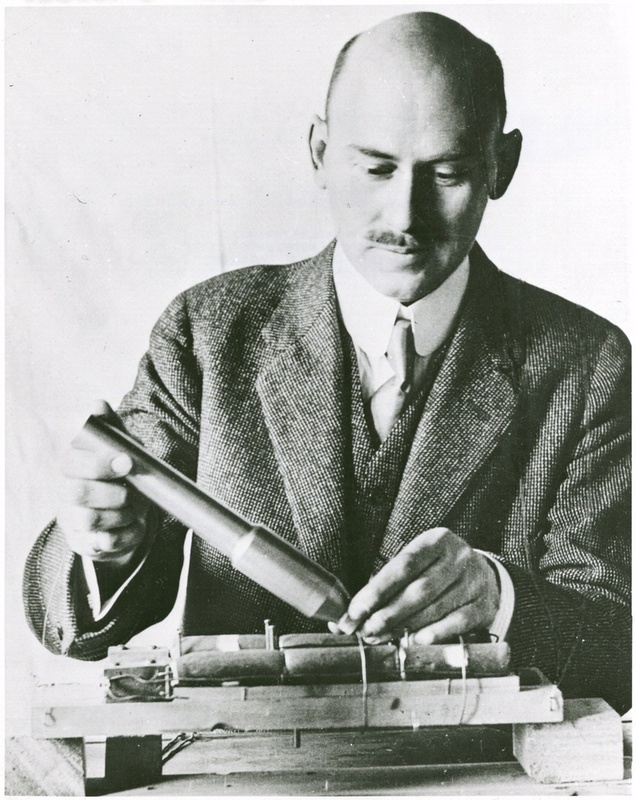 Find out more about Goddard’s “Hoopskirt” Rocket Liquid Oxygen Tank and Alcohol Stove.